If you hate a man, that won’t stop you from acknowledging his uniqueness. Some football fans will tell you they don’t like Cristiano Ronaldo of Real Madrid because of his seeming arrogance but they will admit his brilliance and tell you he is the best footballer in the world. That simply tells you that what makes a man stand out is not a quality that is hidden. In the Nigerian political space, only few politicians possess the visibility and authority of Abubakar Bukola Saraki. Whether you like the man or not, it is what every keen follower of Nigerian politics has come to acknowledge. Over the years he has built a solid network of influential friends, locally and internationally in different spheres of human endeavour. From American music icon Sean Carter, to Chelsea football club coach Jose Mourinho to former British Prime Minister Tony Blair and the world’s richest man Bill Gates; they’ve all visited Nigeria on Sarakis prompting; and there is no living politician or business mogul in Nigeria Saraki will need an introduction to visit his home. He has built a reputation of commitment and delivery to any cause he pursues which singles him out as a strong leader. It won’t be wrong to say he grew up from a privileged home. His father Dr. Olusola Saraki, former Senate Leader, the great Oloye as he was fondly called was the first to build a functional private hospital in Lagos. A cerebral politician who mentored most of the present leaders a of Kwara state which comprises the present Kogi state. Despite a comfortable childhood it will be absolutely wrong to say the young Bukola Saraki was a child who didn’t work hard for who he is today. He would have just been one of those rich kids who depended solely on their parent’s wealth and dropped out of school to enjoy the life on the street. He had a focus, went to Kings College Lagos, before proceeding to study medicine at the London Hospital Medical College in 1987. He then delved into business growth and financial management becoming Director of Societe General Bank Nigeria Ltd from 1990 to 2000. At the age of 38 he became President Obasanjos special adviser on Budgeting from 2000 to 2003. For 8 years as Governor of Kwara state (2003-2011) his true qualities as a leader came to the fore; courage and resilience; preparation and planning and the ability to surround himself with the best brains irrespective of tribe or religion. This led to landmark reforms in agriculture, health, education, finance, environmental policy, infrastructural development and the civil service sector. There were so many innovations in governance most notably the invitation of displaced white Zimbabwean farmers to improve the agricultural development of Kwara state through modern farming inputs. This led to the establishment of Shonga Farms programme which is now being replicated across Nigeria. And it must be noted that Kwara state became the first state in Nigeria to complete the Nigeria Independent Power Project thereby connecting over 375 rural communities to the National grid. Leading a Senate of equals will require a personality with the qualities of Bukola Saraki. In his second spell as Governor, he became the chairman of the Nigeria Governors Forum and attracted global organizations through the body to initiate projects in respective states of the federation. There was no rancor amongst their ranks because he carried every one along. It will be noted that the doctrine of necessity that brought the former president Goodluck Jonathan into office after the death of President Umaru Yaradua was worked out by the leadership of the 6th Senate and the Nigeria Governors Forum as chaired by Governor Bukola Saraki. In the just ended 7th Senate, though not amongst the principal officers, Saraki was visibly one of the rallying point amongst his peers. He possessed a magnetic personality that made his colleagues seek his opinion before crucial decisions were made. His well-researched motion on the need for the Nigeria Senate to investigate the management of the fuel subsidy on October 11, 2011 can be said to be the highpoint of the 7th Senate. It triggered so many questions from Nigerians and brought to the fore the dangers of paying a lion share of our annual budget on fraudulent oil marketers. The Nigerian Senate couldn’t carry out a thorough investigation on the subsidy scheme because the Senate leadership couldn’t stomach a total condemnation of the executive because of party interest. That bold revelation by Sen. Saraki was the beginning of his corruption case with the EFCC. Like it is now almost agreed in Nigeria,”if you try to fight corruption with credible facts and figures, corruption fights back with unfathomable facts and figures”. Spurious allegations of corruption popped up from anti-graft agencies just to tarnish his reputation despite his clean record as Kwara state Governor for 8 years. 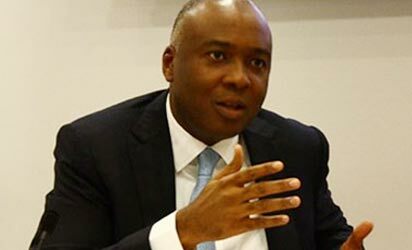 It was no surprise when in May,2015 a federal high court in Abuja absolved Bukola Saraki of any wrongdoing in an alleged bank loan scam being investigated by the special fraud unit of the Nigeria Police since 2012. And in the formation of the All Progressive Congress (APC), Sen. Bukola Saraki was the convener of the Group of five governors of the Peoples Democratic Party(PDP) and 24 PDP Senators who merged into the APC. His social media platform was a viable avenue of reaching out to millions of youths all over the country. It won’t be out of place to say he played a very major role in the emergence of a new government at the Centre as it was in his home state of Kwara where it was a clean sweep for the party. A closer look at the Senators elect in the new 8th Senate simply shows that a total number of 19 have served as State Governors compared to 11 in the 7th Senate. That simply means there will be a lot of egos and demi-gods to manage. They include Theodore Orji (Abia ), Andy Uba (Anambra ), Godswill Akpabio (Akwa Ibom), Samuel Egwu(Ebonyi), Abubakar Sani Danladi (Taraba), George Akume (Benue), Danjuma Goje ( Gombe), Kabiru Gaya (Kano), Rabiu Kwankwaso (Kano), Adamu Aliero (Kebbi), Shaaba Lafiagi (Kwara), Bukola Saraki (Kwara), Abdullahi Adamu (Nasarawa), Isiaka Adeleke (Osun), Joshua Dariye (Plateau), Jonah Jang(Plateau), Aliyu Wamakko(Sokoto) Bukar Abba Ibrahim (Yobe), Ahmed Rufai Sani (Zamfara). This group constitutes a very influential and powerful bloc of politicians of different faith and convictions. It is imperative they have a Senate President who can keep them attracted to legislative business. If these men are poorly managed in the red chambers, they will shift attention to their respective states to the detriment of the Legislature as a very important institution of government. President Muhammadu Buhari’s hard fought election victory with the All Progressive Party(APC) signals the dawn of a new age in the legislature in Nigeria. It coincides with a change of Party dominance in the leadership of the Natioanl Assembly. The Peoples Democratic Party(PDP) which had previously controlled both chambers will now play opposition. In this partisan struggle, the majority party has a distinct advantage since it controls not only the top leadership post in both the House and Senate but the legislative committees and subcommittees as well. Through its party leaders and its majorities on the various committees and subcommittees, the majority party is in a position to determine what legislation the parliament will consider and when. For the All Progressive Congress(APC), the extent to which the Party’s leadership is able to exercise control over its rank in the National Assembly largely depends on the personality and clout of the Senate President. In Sen. Abubakar Bukola Saraki they have a man who has the competence, capacity and clout to lead the Senate and National Assembly.